The Omnipure K5520SS improves the taste for your drinking water, pure and simple. Great as a filter for icemakers, refrigerators and as a postfilter for Reverse Osmosis Systems. 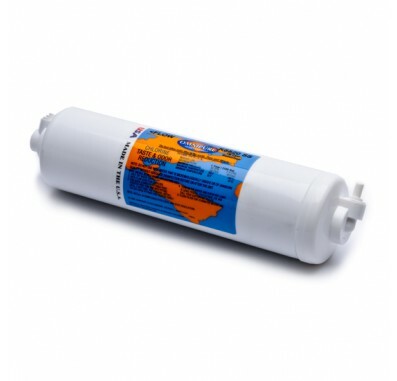 The Omnipure Inline GAC Filter Cartridge fits standard 1/4-inch water lines. The filter uses Granular Activated Carbon to remove contaminants for up to 12 months. 1/4-inch female quick-connect fittings set at 90 degrees on both ends. 1 year limited warranty and made in U.S.A.